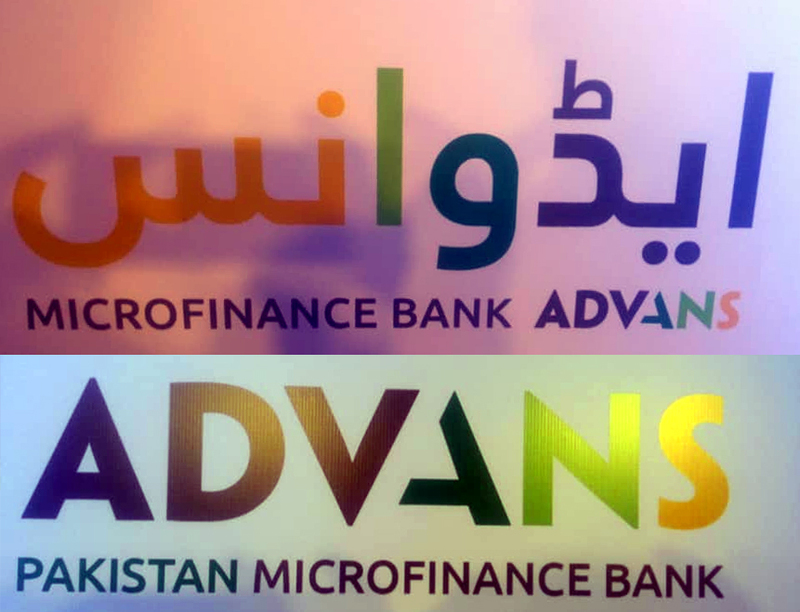 Karachi: Advans Pakistan Microfinance Bank launched its new brand identity and a new logo reflecting both the company’s rapid growth since its inception only five years ago, and its resolve to stay committed to adding meaningful value to the microfinance sector in Pakistan. The launch event was attended by senior representatives of regulatory bodies, and of the microfinance and the larger financial sector, as well as by customers of Advans, the media and other invitees. Believing that the growth of private entrepreneurship is the engine for sustainable economic and social development, Advans Microfinance Bank supports Pakistani entrepreneurs venturing into diverse businesses, by financially empowering them, while also counselling them on different operational and management aspects of their businesses. Since the opening of its first business office in Mahmudabad, Karachi in January 2013, Advans has made rapid progress and today it has 9 points of sale in Karachi, one in Hyderabad & one in Larkana with more than 8,000 active borrowers and gross loan portfolio of more than PRs. 700 million. The MFB also has deposits over PRs. 500 million with 16,000 clients in total. The launch event, held at a local hotel, culminated with an inspiring ghazals session, featuring renowned ghazal singer, Salman Alvi, who was recently awarded a Pride of Performance Award by the President of Pakistan. Advans Pakistan Microfinance Bank Limited was incorporated in April 2012 as a limited liability company; granted a license by the State Bank of Pakistan under the 2001 Microfinance Ordinance and offers a complete range of financial services to Small Enterprises. Advans Pakistan’s shareholders are Advans SA (profile below) and FMO, the Dutch development bank. Advans Pakistan started its operations in Karachi on 7 January, 2013 and has since opened nine branches in Sindh province. As a registered microfinance bank, Advans Pakistan provides micro and SME loans for investment and working capital purposes ranging from PKR 10,000 to PKR 500,000 and current and savings accounts for both individuals and MSMEs. Advans Pakistan aims to become one of the leading MSME financial service providers in Pakistan in the years to come. Advans Pakistan has also won an award from the Microfinance Transparency – Transparent Pricing Initiative for its clear and transparent tariffs and policies.